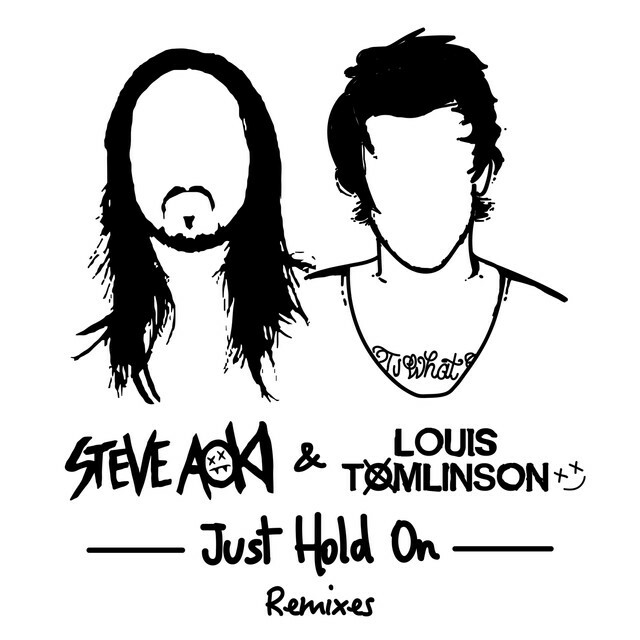 "Just Hold On" was a collaboration between Louis Tomlinson and DJ Steve Aoki, released on December 10, 2016 by Ultra Music. "Just Hold On" was a collaboration between Louis and DJ Steve Aoki, released on December 10, 2016 by Ultra Music. This was Louis' first solo song release. It was written by Louis Tomlinson, Steve Aoki, Eric Rosse, Sasha Sloan, and Sir Nolan and produced by Steve Aoki, Sir Nolan and Jay Pryor. Louis and Steve performed "Just Hold On" for the first time on the finale of The X Factor UK. The music video for Just Hold On was released on March 8, 2017. The song reached #1 on the iTunes chart in 43 countries. The song debuted at #2 on the UK Singles Chart and #52 on the US Billboard Hot 100. The song reached #1 on the Billboard Dance/Electronic Digital Song Sales.